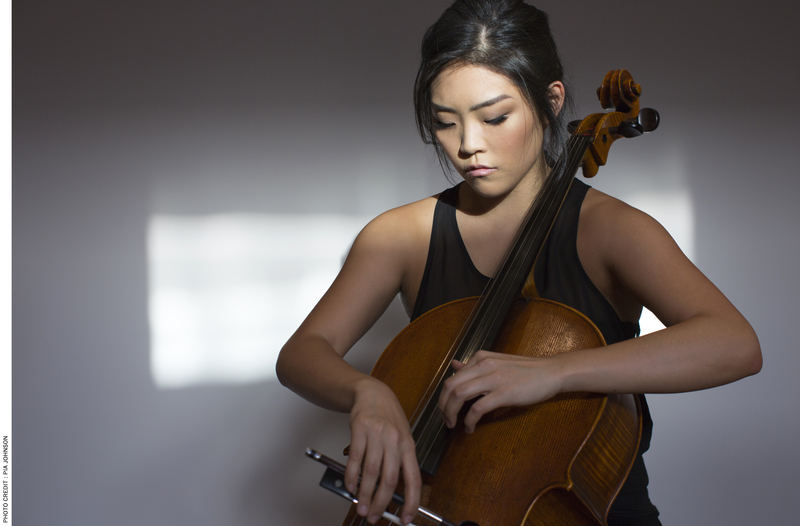 Born in Melbourne, Australia, Sarah began learning cello at 8 years of age. When she was 10 years old, she was awarded a music scholarship to St Catherine’s School and by the age of 15, Sarah was awarded both Associate and Licentiate Diplomas from the Australian Music Examinations Board. In 2007, Sarah was the sole student to be accepted into the ‘Melbourne University Program for High Achieving Students’ enabling her to begin her Bachelor of Music Performance degree whilst completing her high school studies.Sarah was accepted into the Advanced Performance Program at the Australian National Academy of Music in 2009, studying under Howard Penny, where she studied until 2011. In 2011, Sarah began a Masters of Music with Jean-Guihen Queyras at the Hochschule für Musik Freiburg, where in 2012 she awarded first prize of the Carl Seemann Prize for cello. In 2013 she graduated with top marks. In 2015, Sarah graduated, again with top marks, from the Hochschule für Musik und Darstellende Kunst Stuttgart with a Masters of Chamber Music. ​She has been fortunate enough to perform alongside many esteemed conductors and artists including Nicholas Milton, Brett Dean, Christopher Seaman, Fionnuala Hunt, Pekka Kuusisto, Johannes Moser, Claudio Bohorquez, Dmitry Sitkovesky, Conradin Brotbek, Sebastian Klinger and Daniel Rowland. Sarah also played principal cello under conductors such as Daniel Harding and Simone Young. Sarah has enjoyed performing in music festivals throughout Europe and Australia including the Piano Plus Festival, Beethoven Festival Bonn, the Melbourne International Arts Festival, Prades Festival Pablo Casals, Adelaide International Cello Festival and International Musicans Seminar Prussia Cove. She has had the privilege of working with some of today’s most highly-regarded cellists including Tsuyoshi Tsutsumi, Wolfgang Böttcher, Frans Helmerson, Ralph Kirshbaum, Alban Gerhardt, Toflief Thedéen, Jens Peter Maintz and Pieter Wispelwey. Sarah is honoured to have been awarded a professional development grant from the Ian Potter Cultral Trust, which supported her undertaking of a ‘Soloist Diploma’ [Konzertexam] with Professor Conradin Brotbek at the Hochschule für Musik und Darstellende Kunst Stuttgart. She has just recently completed her studies and is fortunate enough to be playing a cello made by Giovanni Grancino in 1706 made available to her by a private benefactor, as well a modern cello made for her by Ersen Aycan in 2012. She is currently based in Freiburg, Germany and is enjoying playing concerts through Europe and Australia.